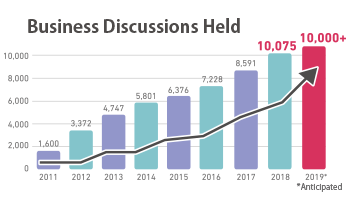 With over 10,000 meetings expected to take place, the 2019 Partnering is set to be our largest and most successful ever! What's more, since the Partnering system is entirely shared between BioJapan and Regenerative Medicine Japan, participants can now reach an even wider range of potential partners than ever before. 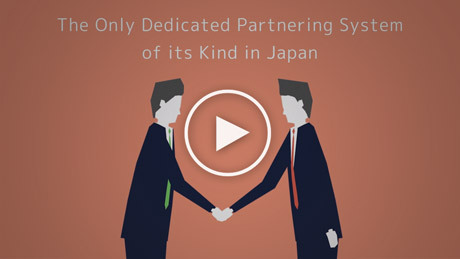 Find out more about Partnering at BioJapan and Regenerative Medicine Japan by watching our short introductory video below! A value deal for non-exhibitors who wish to deliver a presentation as well as participating in the Partnering. Registration for the Partnering system is set to begin in July 2019. A number of Partnering accounts may be included in your exhibition fees, depending on the size of your exhibition booth.